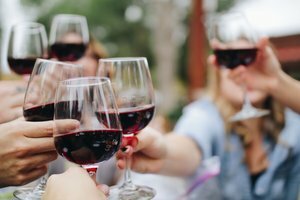 Experience one of the best areas for wine tastings around our hotel near the Urban Wine Trail in Santa Barbara, California. 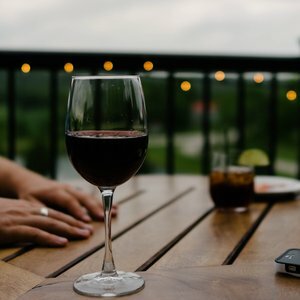 With ten wineries within walking distance of Hotel Indigo’s front door, enjoy a leisurely afternoon of tastings as you make your way through this eclectic neighborhood. A more contemporary choice compared to the typically traditional hotels Santa Barbara offers, Hotel Indigo Santa Barbara features an art gallery and micro guest rooms for guests looking to seamlessly drop off their bags and explore. Discover a taste of California during your stay at our hotel near the Urban Wine Trail in Santa Barbara, nestled in the heart of the action. Happy trails! 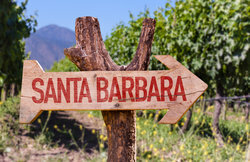 Explore the Urban Wine Trail map and plan your exceptional stay at our art hotel near Santa Barbara wine country. 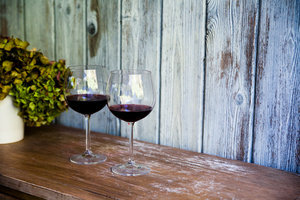 State St. to Helena Ave.
Melville Wine Tasting Room: Specializing in cold-climate Pinot Noir, Chardonnay, and Syrah. Paradise Springs Winery: The first bicoastal winery in the country, with a sister winery in Virginia. Ca’Del Grevino: Cultivated from a sustainable vineyard with hand-harvested fruit. 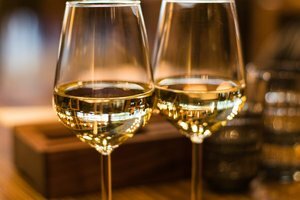 Les Marchands: Stop by the popular Social Hour every weekday afternoon for fine wines and artisanal spirits. 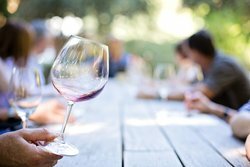 Santa Barbara Wine Collective: Discover multiple Santa Barbara County wineries and winemakers under one roof. Area 5.1 Winery: Try secret blends and bold varietals that are completely classified. Riverbench: Made from 100% estate-grown grapes and offering four sparkling wines. Oreana Winery: Come for the sparkling wine and stay for the party. Corner of E Mason and Anacapa St.
Kunin Wines: A family business since 1998 and nationally distributed. Municipal Wine Makers: True Funk Zone vibes with wine bottles designed by local artists and a bright tasting room with a contemporary art collection. DV8 Cellars: Premium wines reminiscent of the Rhone Valley of France. Between Anacapa St. and Gray Ave.
Santa Barbara Winery: The oldest winery in the county with a scenic patio and production facility to tour. Lafond Winery: Sample crisp white wines and perfectly balanced pinots. 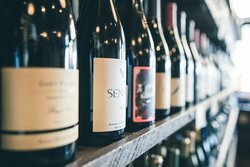 The Valley Project: Discover 55 varietals of Santa Barbara county wines alongside soil samples. 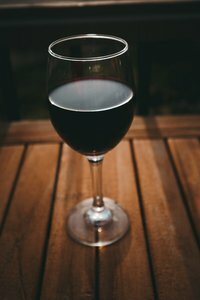 Pali: Try a flight of Pinot Noir and other 2015 vintages from vineyards in Santa Barbara and Sonoma. 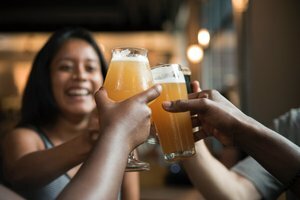 Amongst the Wine Trail is a growing community of local breweries, adding even more flavor to our neighborhood. 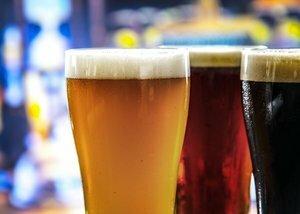 Lama Dog Tap Room + Bottle Shop: Taste 20 different revolving craft beers on tap and bring some home from the bottle shop. Topa Topa Brewing Co.: Inspired by the Topa Topa mountain range and offering 16 hand-crafted beers. Brass Bear: A husband and wife team working together to serve local brews and fresh sandwiches. Figueroa Mountain Brewing Co.: A family-owned brewery with live music nights on the patio. 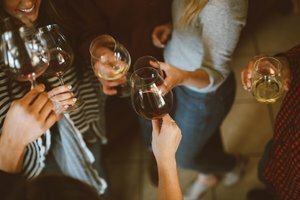 Sample a variety of tasting rooms without drinking and driving during your stay at our pet-friendly hotel near the Urban Wine Trail in Santa Barbara, California!